Our Mission: Transform the lives of homeless men, women and children through comprehensive residential programs to effect lasting change and empower them to be productive members of society. We provide food, shelter, substance abuse treatment, education, computer literacy, job placement, healthcare, spiritual development and housing with Christian love, compassion and encouragement. Since 1922 the Miami Rescue Mission | Broward Outreach Centers, The Caring Place, has served the homeless and needy of South Florida. Our Broward Outreach Centers were first established in 1992. Our Miami-Dade and Broward Centers serve over 1,300 men, women, and children each day. There are approximately 800 people enrolled in our residential life-changing programs. At the heart of these decades of serving those in the greatest need are our core values. Compassion is love in action, saying yes when others say no, embracing the inherent value of every human being. It is the nonjudgmental, conscious acceptance of those in distress and a deep desire to see them restored to health and happiness. The Caring Place embodies the love and compassion of Christ, welcoming the least, the last, and the lost of society without judgment. Hope is to expect the best outcome with confidence. It is a vision for a better tomorrow; the ability to imagine the possibilities for a better life. 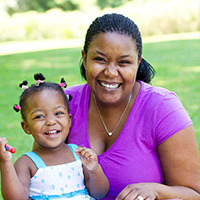 The Caring Place provides hope to those who have lost hope through a road map for restoration. Restoration is to regain that which was lost; to become healthy and whole again—physically, spiritually, mentally, emotionally, and socially. As servants of Christ in the world, The Caring Place (Miami Rescue Mission | Broward Outreach Centers) provides resources and a restorative environment that supports those on the path to health and stability. Transformation is to alter character and outlook; to experience an awakening and a willingness to change. Our centers provide a safe, supportive environment and effective tools that support individuals in achieving permanent, positive change. Primary Services: The Miami Rescue Mission | Broward Outreach Centers (The Caring Place) provides emergency shelter, residential programs, job training, education & computer literacy classes, healthcare, transitional housing, permanent housing, employment opportunities for homeless men, women, and children as well as programs for “at-risk” youth. 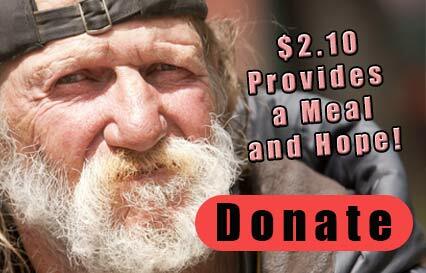 Brief History: Miami Rescue Mission (MRM) began in 1922 under the name “City Mission” serving meals to the needy. The hurricane of 1926, the stock market crash of 1929, and the following years of The Great Depression caused an increase need of MRM services. In 1935, the name was changed to Miami Rescue Mission. MRM continued through the difficult years of WWII and in 1947 was formally incorporated with its quarters at 150 W Flagler Street, Miami. The Mission eventually moved from this location in order for the public library to be built. The next location, 716 N. Miami Avenue proved to be the exact spot the city wanted to build the Civic Center. In 1969, MRM opened the building at 2250 NW 1 Ave. which would become the site of the Center for Women & Children, which opened in 1980. Dr. Frank and Maxine Jacobs became MRM’s leaders in 1975. Their dedication, vision, and hard work led to expanding services to the homeless and needy for the next 32 years. The present President/CEO, Rev. Ronald Brummitt, of the organization has 26 years of experience working with the homeless and needy of South Florida and has served in this role for 12 years.